1. I have been so proud of the children this week. They are working hard all the time and really making leaps and bounds! 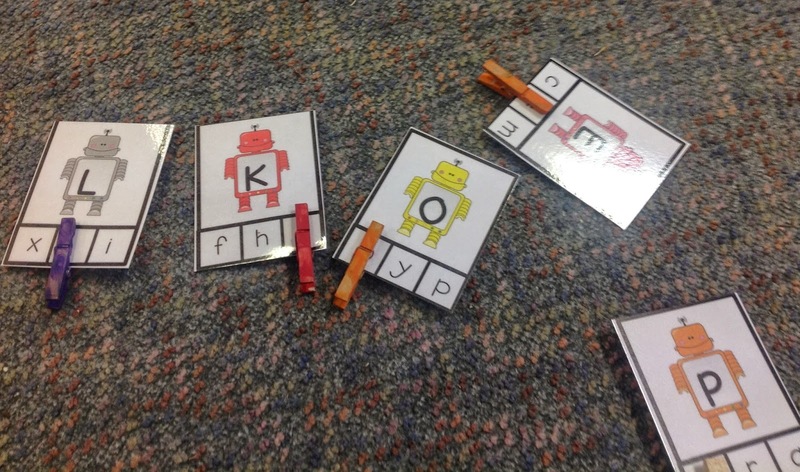 We used Tania Poultney's Alphabet Robots this week and the children loved them! I loved being able to add some fine motor skills in there too! 2. 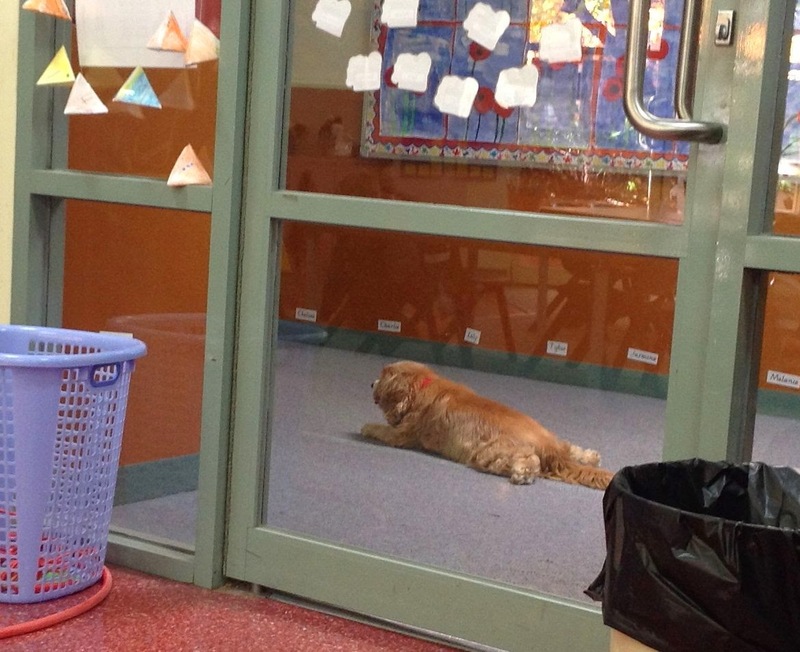 I was doing some testing during the week (it is coming up to report time) and I saw the school dog Rosie having a little lie down in the corridor. I had to take a picture - very cute! Rosie comes to school everyday with her teacher owners. The children love her! 3. 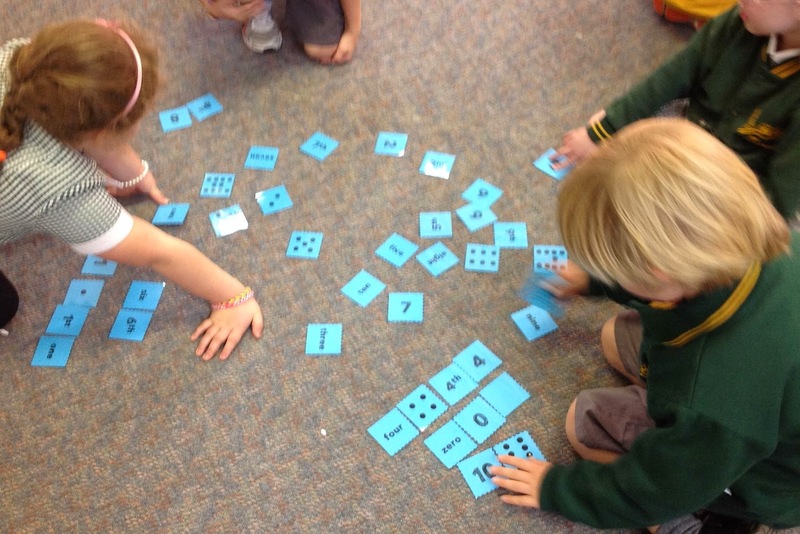 We have played this game of matching up cards a few times, this time I added in the ordinal numbers to see if they understood - Too Easy I was told! 4. 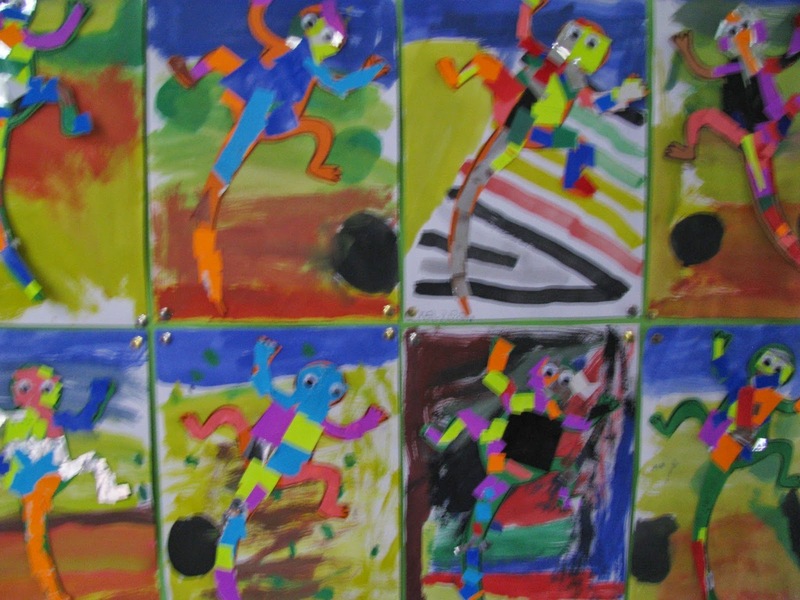 I have a student teacher at the moment and for "Ll week" she made lizards withe children. They look great on the wall! They water coloured the background then practiced their cutting skills to stick paper on top of the lizard. One girl commented she was making a chameleon! 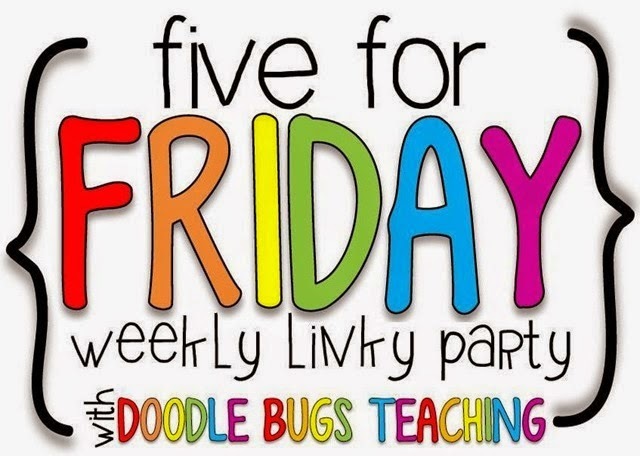 I love teaching young kids, they come out with the best thing! 5. Autumn has finally come to our town! It only took until nearly winter! The leaves have started changing colours and dropping. Leaf flights seem to be in at lunchtime and when the wind blows down the leaves, you would think it was snowing! (Something these kids know very little about!). 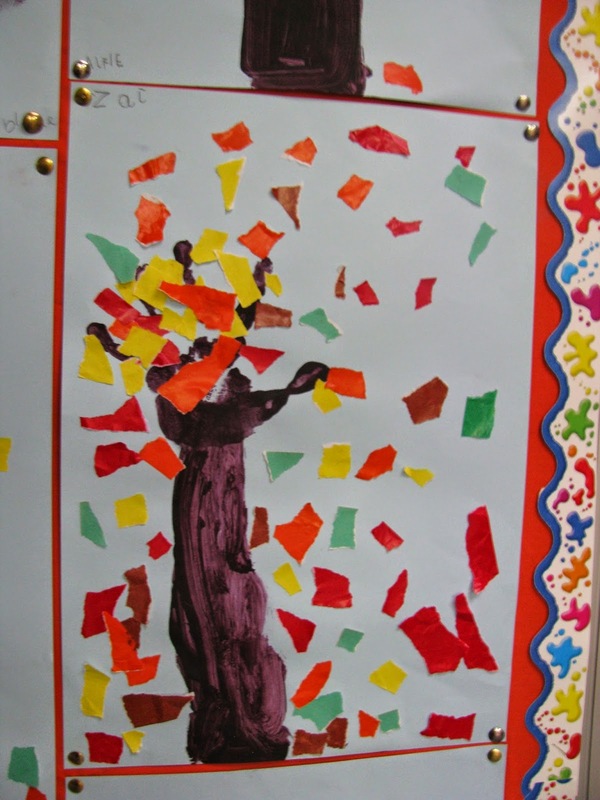 We made these great autumn crafts during the week. First we read a story "We're Going on a Leaf Hunt" then went outside to look at our trees. Then we did the trunk, hand and leaves! They look great! I have a student teacher at the moment, too! :) He has been doing a wonderful job teaching my precious kidlets. Love those robots of Tania's... I might have to get my hands on them. I'm always looking for new fine motor ideas. Amazing art work and great photos. Having a dog at school would be interesting. Those robots look like an awesome idea. And the autumn artwork looks super cool. At my school we have an 'eating area' (the only place outside where students are allowed to have wrappers with their food) and there is a big tree in that area that is losing all its leaves. The kids are enjoying piling up the leaves then kicking their way through the pile.